What oil is the best in your opinion ? Is a synthetic blend a problem ? I ran Wolfs Head 10W30 and it was all I found that was not synthetic from my parts store. I remember my dad saying Castrol GTX would make the clutches slip, it seems. He liked Havoline, which I haven't seen in years. Go the walmart or krogers and buy your oil. I can get Amalie synthetic blend for $1.97 qt. Unless you find it too slick for the bands, sure! The very cheapest oil you can find is several quantum leaps better than anything available when your car was built. So, the general opinion of this Forum just comes down to not knowing any reason to pay more than the minimum for your oil. As to synthetic oil, your engine probably won't know or care about the difference. The synthetics work best in high-stress, close-tolerance situations, and none of those exist on a Model T.
On the other hand, there is significant disagreement about the weight of the oil. Some prefer multi-grade, and some prefer single viscosity. Some prefer detergent, and some prefer non-detergent. Some change their viscosity as the seasons change, and some don't. Personally, I think that what Ford had available, and put in the cars at the factory, and recommended using, would be closer to about 20-weight non-detergent oil than anything else. But its quality would be about a 2, whereas anything you can find today would be 8 or above. So, the only no-no is oil with molybdenum or graphite in it, because they would short out the magneto. No reason to buy synthetic blend. It is 10% synthetic so why bother? It has been pretty much agreed that 5/30 is the ideal grade for to get hood splash lubrication to all the bearings as soon as the engine starts in any weather. Many use 10/40, a few use the heavier 20/50. A few even use synthetic. Full synthetic. The important thing is to keep the sump full with clean oil. I heard the consenses is to change the oil every 300 miles to insure good clean lubrication. As long as your car doesn't have a tendency to creep forward in neutral, it probably doesn't matter much which grade of petroleum-based motor oil you use. -If it does tend to creep in neutral, use any brand of 5W-30. -Synthetics have a reputation for being a little too slick and may cause a Model T clutch to slip. -I put about 600 miles on the car each year, so a once-a-year oil-change works out okay. 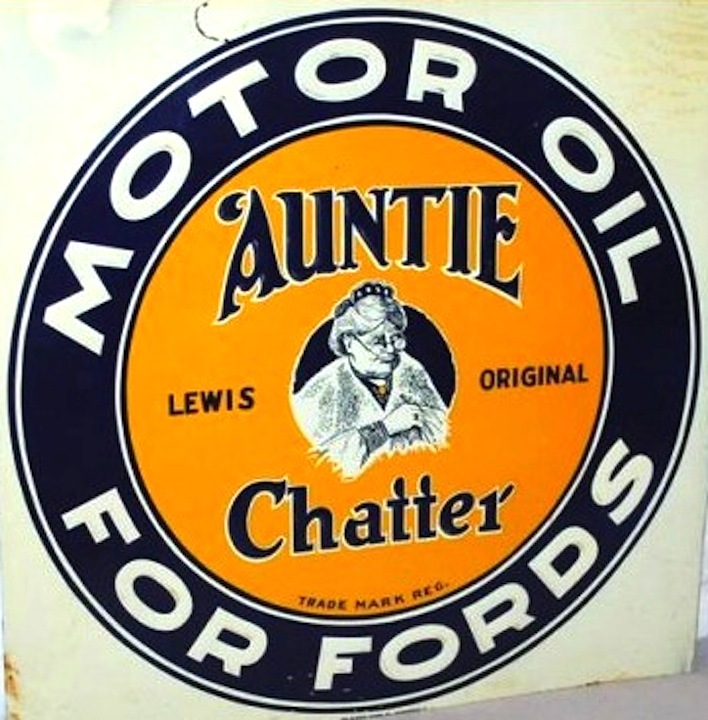 Ford recommended a "light high grade gas engine oil". What is the modern designation for "light"? That is 20 weight. BUT don't be misled by that number as I was. I assumed that 5W-20 is just 20 weight that works in cold temperatures. Actually 5W-20 is a much thinner oil than straight 20, and my using it was probably a contributing factor in my recent bad rod adventure. Going by the grade chart in the MTFCA Engine book, I'm now using 10W-30. What brand is best? Whichever costs least. As long as it has the API seal on the container, the least costly is fine. Is it a coincidence that the name on the first article is Jelf ? Capacity is one gallon ? If I put over 3.5 qts in mine, it leaks out the top of the sight glass in the pan...and I had the inspection cover off and the drain plug out for over a week when I did my repairs. I put in 3.5 qts of the WH 10W30 and half a pint of STP in and it was full to top. The synthetic blend I can get is over $1 cheaper than the Wolfs Head. Just worry about the synthetic with bands and clutches. BTW, I get oil cheaper than Wally World at my parts store, and I have an account and get a pretty good discount through my business and spending a couple Gs a month there. Need to check/renew gaskets in that sight glass. I have been running 30W for the summer, it is time to do an oil change and go back to 10-30, joking about the above, but with the fall drop in temp. she does have a real bad case of creeps when cold. Nice thing about the Warford, I can put it in neutral to warm up. Go to Wal-Mart, Auto-Zone, or the Dollar store and buy the store brand 10w30 or 30w detergent oil. It will more than do the job and better than any oil Henry ever put in it. No need to buy any exotic oil or super duper synthetic. It's just overkill for no reason. There are folks who use full synthetic in there T with no problems. Synthetic ATF doesnt cause automatic transmissions to slip. Many motorcycles use synthetic oil and it doesn�t seem to cause their clutches to slip. Dave, no coincidence at all. That's my website. As Griffey said, Synthetic Blends are a waste. There is no law that requires the blends to tell you what percentage of syntec is in the oil. With that in mind if you want to try a blend ,mix your own 2 qts reg. 2 qts syntec. as what was recommended several years ago by one of our members. I tried it after discussing it with one of our gurus here and it worked well. had no issues with slipping clutch. It was actually an improvement , no more chattering from the bands or turbo400 clutch. Since that time I've converted to full syntec, but not the typical modern stuff. I use Amzoil Z-Rod fort classic cars and Walmart full syntec 4 stroke motorcycle oil. Both are designed for wet clutch applications. Oh and I run 20/50 in my engine. Does anybody besides Stan Howe use Lucas products? Oil is cheap but engines are not.Not to sound off base but if you have too much run out in a rod journal no type of oil will make it last forever? Bud? Seemed to help shifting and a slow cold engagement. Thanks Dave, but I meant does anybody use Lucas in their Model T? Don't know why people will give advice about buying the cheapest crap you can lay your hands on Dave. Maybe they just don't give a damn about their car. Or yours for that matter. Advice? Get four quarts of a decent name brand 10W-30 weight oil & enjoy the ride. If you wouldn't use crap in your modern why use it in a collector car? Sometime in the 1990's the oil companies started reformulating their oil to remove zinc and other "pollutants." Zinc, however, appears to be necessary for reducing wear in older engines. Operators of old tractors, boats,classic cars and the like seek out oil that still has the chemical makeup their engines were designed for. For that reason I use shell Rotella 15W40 T4 in my 1953 Ford Tractor, 1952 Willys Jeep, 1987 4-Winns Boat, and eventually, my 1917 Ford. I know that the T's engine far predates all these other classic vehicles but what can it hurt? I buy the stuff in gallon containers as it is. If it's me you're referring to just re read the last line of the post. Defined crap pretty well. "Road and laboratory tests have proven that the highest economy of fuel and oil, with the best relative horsepower is developed by using an oil with a viscosity ranging between 300 and 800 seconds." My presumption is that this is Seybolt Universal Seconds at 100F, in which case 300 SUS is equivalent to SAE 20 and 800 SUS is equivalent to SAE 40 engine oil. My personal preference is 15W40 diesel oil, which fits right into these recommendations. I went with the Amalie syn blend, I will let you know what I think. I mentioned in another thread, I was going to drop the inspection cover and wipe it off and possibly change the oil early after my ring job. Partially because I had water in the oil before the work, due to a leaking head gasket. I didn't see much sign of water, but a little. I feel better dumping out the pan. I wasn't trying to open the proverbial "can o worms" lol. Ron, I think your recommend for 15w40 Diesel engine oil is the definitive answer. It's been working well for me and worked for the previous owner of my T. This should simplify things, but I know it won't. Others may have good reasons for their choices. We don't all live in similar climates nor drive our Ts exactly the same. Something works for you, stick with it. If it's not working, 15w40 diesel is a good place to start. So, what are people just north of the Mason Dixon line (New York, Ohio, Illinois etc) switching over to for the winter driving season? I use Valvoline conventional oil 10W 30. Any good oil will work, but not too heavy weight or your bands will drag. Since the T has no filter, except an accessory screen and magnet on the transmission inspection plate, you will need to change the oil frequently, at least every thousand miles. You might also get some band material in the oil, so it is helpful to change often. Synthetic oil is made for cars which go long mileage between oil changes and the oil doesn't break down as quickly as conventional oil, but it is a waste of money to use it in a car which needs frequent oil changes. Remember that ALL oils made today are better than the best oil available when the T was manufactured. For winter ? I just changed from 15w40 to 10w30 Rotella. Hedging the issue, as my Liz lives in a heated building we keep at a minimum of 45F. "If you wouldn't use crap in your modern why use it in a collector car? I use Super Tech oil in my modern and in my T's. 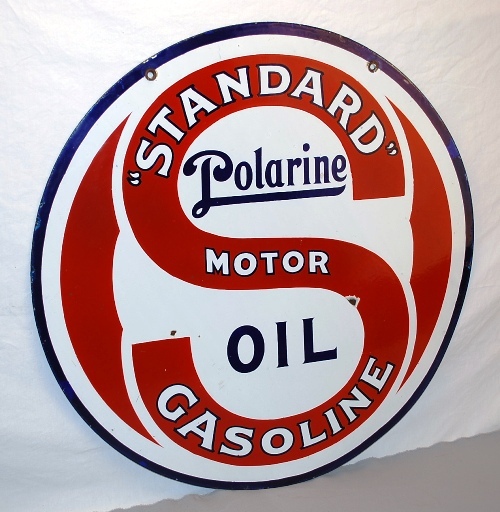 It has the same API seal as Pennzoil, Castrol, Quaker State, or any other major brand. Is it crap because it costs less, or does it cost less because it doesn't support a big advertising budget? I have no intention of getting into a pi**ing contest with one of the Forum Beloved because I'll lose but will restate the first line of my post; "Don't know why people will give advice about buying the cheapest crap you can lay your hands on". Why? Why tell some body that? It that sound advice? Another thing; You go to a station or a dealership for an oil change and you see the mech dumping in some off brand oil into your pride & joy. Do you smile & give a thumbs up or do you raise hell? Not looking for a urination festival. But I wonder if the higher price of major brands makes them better than the house brand with the same API rating. Is there a published independent scientific analysis to support that? I'm cheap, but I'm not stupid. I may not like it, but I'll go back to a major brand if I see convincing evidence that it really is superior for Model T lubrication. I thought every one that owns a T was educated well enough over the years that the oil must be changed often, big name high priced oils is an over kill on your wallet and engine wear if left in to long. So cheap oil is fine, change often and your engine will out live you! I've been trying to remember the last time I went to a station or a dealership for an oil change. I think it was in the seventies. Most dealerships use bulk oil, you should look into what brand of oil they use if you are concerned. The last place I worked, we had a 200 gallon tank of Pennzoil and a premeasured system that shut the pump off at a set amount. Smoke screen. Expected when a question can't (won't) be answered. I take my 2015 to the dealer for oil & filter. Any other work I do. (brakes, filters, ect) Why? $35.00. Oil, filter, tire rotation, top off fluids, when the weather's good they wash the car and finally they have the records in case of warranty work. You want cheap? Beat that. With name brand oil included. Tell me again why getting your modern's oil & filter by dealer or service sta. is NG. But back to the 1st. question; Why tell someone to buy & use cheap stuff for their collector car? I think it has been well established recently that 5W-20 is not good for a Model T but, is correct for a modern day Ford. I also went to the dealer for oil changes the first two years as that was included when I bought the car new (2015) Since the car needs �Dexos� rated oil, I searched for this type of oil as I would be doing my own oil changes. I soon discovered that the factory oil sold by the dealer was .31 cents cheaper than the name brand sold by the parts store. So, I buy the oil & filter at the dealer as those prices are competitive. I will do my own oil changes as long as I can and then I will let the dealer do them. I, like most people, don�t want to spend more than I have to but, I like a name brand going into my cars regardless of age. I like name brand tools as well and won�t skimp on price there either. I feel I get what I pay for and that works for me. Maybe you blokes have a no-name of a cheap oil with a bad reputation, that's not an option at my end of the world, cheap oil or oil on special are of good reputable company's like Valvoline, Castrol, Shell and Mobil. I have no ax to grind but i wonder how anyone can say it has been well established 5w-20 is not good for a Model T?? One of oil's main jobs is cooling and any engine almost run out of oil will suffer.Modern oil is almost a miracle in a can but it will not cure excessive run out in crank bearings. When asked several years ago Bruce said 10-30 instead of 5-30.Everyone pays their own bills so the choice is yours.Oil is cheap but engines are expensive! Bud. Yes, back to the first question. "Why tell someone to buy & use cheap stuff for their collector car?" "I wonder if the higher price of major brands makes them better than the house brand with the same API rating. Is there a published independent scientific analysis to support that? I'm cheap, but I'm not stupid. I may not like it, but I'll go back to a major brand if I see convincing evidence that it really is superior for Model T lubrication." Is there actual evidence that more costly means better? I'm ready to be persuaded when I see persuasive evidence. I'm not from Missouri, but show me. Makes me wonder what the Henry Ford uses in their fleet of Model T's? Bud. 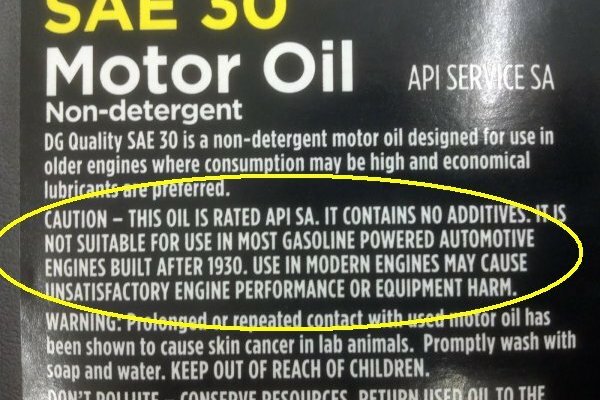 You are confusing cheap oil with oils that meet api standards. As long as an oil meets that standard you are probably good to go. Walmart brand is cheaper then Quaker State for the most part but meets the same requirements, it is cheaper because they pay less for advertising. Shall we question gasoline brands? I said, I think, meaning; I thought it was established. Am I wrong that 5W-20 is not a good idea for the Model T? Agree with you Joe...if it is apple to apple comparison to the identical API standard, then price or brand can't make that much difference. Remember the Dollar General oil class action suit? The lawyers figured customers can't read, and put this 'cheap' i.e. low cost std. API 'SA' grade in their modern autos. Same with a nice collector car, high end Cad or Rolls.....better off with a better oil. To clarify, I don't use this 'SA' non-detergent all the time. Only use it with fresh rebuilt engines. Several builders told me using a non-detergent for break-in can be helpful, less froth than detergents, a more pure simple oil helps seat things. As you showed, Dan. API is only part of the equation, SA, SC, CD and several other ratings that escape me now. They have to do with additives, detergents, ash, diesel, gas, turbo etc. Most all are probably fine for a T in the right weight. So far the synthetic blend is doing great. I am pretty easy on the clutch when shifting, but no slip and I need to adjust the bands, but they don't seem worse. I consider the model t oiling system to be primitive compared to later engines. Have been using full Synthetic 10-30 since building the engine in our 13 touring approx. 20 years ago. To date, no bearing adjustments or any problems with the clutch slipping (400 clutch disks) or Kevlar bands. No broken/cracked drums. The engine runs great! Change oil once a year. I also have a 1/2" oil line running from the hogs head to the oil pan. Do not use magnets or slingers...just a bare flywheel with ring gear. Using the best oil available is cheap compared to an engine rebuild. We have toured our model T a lot...I do not baby it...How many others have driven their cars for 20Yrs with no internal engine problems or bearing adjustments? 20 w 50 and adding some transmission fluid to the mix. So Dave adds STP which thickens whatever he puts in and Marty apparently adds trans fluid which very likely thins whatever he's using. ????????? Charlie, when it comes to additives, it's like cooking. Each to his own taste. I avoid tasting motor oil...just sayin ! Not that I haven't, but I avoid it.